Rushed legislation is bad legislation. Proposals in the current crime and courts bill to extend regulation to the blogosphere at the switch of a clause without proper debate or consideration is daft and dangerous. I have seen the detailed clauses put down for debate when Parliament returns this month – and frankly the only use for them is to swell the already well lined pockets of m’ learned friends. Taken together they are neither use nor ornament and if they became law all they would do is spread confusion and clog the courts with hours of pointless legal argument. The aim is to try to bring the completely unregulated blogosphere within the new regulated press and media. 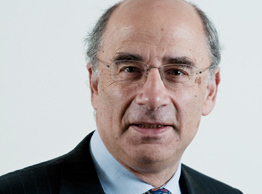 The proposal was neither sought nor demanded by Lord Leveson, whose inquiry concentrated on big media. Leveson probably didn’t understand the blogosphere and as far as I know isn’t on Twitter. The amendments tabled in the House of Lords just before the recess on March 27 can be seen here (http://bit.ly/14AyRHO). It looks as though it is in response to a letter from a number of bloggers from Paul Staines and Tim Montgomerie to Laurance Durnan and Sunny Hundal to the Guardian who objected to even more drastic measures (see http://bit.ly/XTs84y ). I can just imagine the arguments in a courtroom between lawyers on this blog and others. What will be the definition of incidental news ( how many stories do have to have to qualify) – what happens when a subject -like the current police investigations into paedophiles becomes news (do sites that write this up become news when it is the headlines, and not news when it is not). The main proponents for these new controls appear to be the Media Reform Coalition who have written this blog ( see http://bit.ly/13Mgr7S ) . They appear to be a self-appointed group of academics and lawyers. Their argument is that I should be registered to save exemplary damages being awarded against me by the rich and powerful and to avoid paying my opponents’ legal costs. Sunny Hundal of Liberal Conspiracy says this is not the case and there will be three weeks of consultation to try and get un registered bloggers the same privileges as those who are registered and define properly what is a small blog. (See http://liberalconspiracy.org/2013/03/27/bloggers-to-get-three-week-consultation-on-regulation). It remains to be seen how successgful this will be. In the meantime I am not swayed by the exemplary damages argument – it costs £1600 alone just to take out a libel writ at that level – so it would be beyond most people’s means. And also I suspect that many small bloggers caught in this trap wouldn’t employ lawyers – they would be become litigants in person – and clog up the courts just as the famous pair who took on Mcdonalds. And they won’t have the money to pay the other sides legal costs anyway – so whoever took them would end up out-of-pocket themselves. The case would also become a cause celebre. My gut feeling is to rely on the new Defamation Act – which will restrict libel cases against anyone – as the rich and powerful will have to show the story has caused major damage – not just any damage. I think all sides would benefit if any proposals to include blogs were dropped from the remit of the regulator – until at least there is a considered debate. As I said making law on the hoof is a disaster. You have only to look at the Dangerous Dogs Act to see this. This is the equivalent of the Dangerous Bloggers Act! This entry was posted in media, Whitehall and tagged bloggers, defamation, leveson, media reform coalition, press regulation. Bookmark the permalink. I think the council might say that Mrs Angry’s blog (& mine) are community liabilities, not assets, although the community would say they are assets. I am always amazed & humbled when I meet readers for the first time how grateful they are that we give up so much time for our hobbies. I don’t set out to libel anyone and think one gets the chance to amend any supposedly offeding pieces so that there is already a sort of mediation system in existence although it might depend upon the size of your pocket. If you are comfortable or in poverty then you are safe – it is the people in the middle ground with the most to lose. Bloggers are a disparate, rebellious & independent bunch who don’t generally write for money, but out of love for their subject and to find enough of them to have a meaningful and statistically valid consultation will be hard and not achievable in a short timescale. Given the lack of income why would any blogger want to pay a fee to a body that has been created out of the phone-hacking scandal. Sunny Hundal’s claim in an article written nearly a week ago that there will be a ‘mini consultation’ with bloggers is puzzling. The same article states that the draft will be finalised in mid April, in less than a fortnight’s time: so where is the consultation? Unless it was the small meeting convened last week by Media Reform, attended by me and just two other bloggers, which clearly was woefully inadequate … Sunny is also wrong to suggest that lone bloggers will be exempt from the proposed definitions – it is by no means certain who will or will not be covered. I’m afraid you’ve misconstrued our position, David. We have said clearly and repeatedly that bloggers should NOT count as “relevant publishers” under the C&C Bill. We want that bill to be amended with very clear legal tests which exclude small publishers – from the classic “lone blogger” to small news websites like EastLondonLines and The Londonist – from the danger of exemplary damages. In this I think we’re united with a wider range of people than just the usual pro-Charter suspects. But we ALSO want such publishers to have the option to join or form a regulator in future IF they want to. Right now, there’d be little point doing so, because the C&C drafting excludes them from cost protection if they don’t count as “relevant publishers.” But if that can be changed then they would get extra protection in courts, as well as access to the regulator’s Charter-mandated arbitration service. You might not think that sounds like much of an incentive. Fine; we’re not suggesting you should be forced into regulation. But we DO think the option should be open to “irrelevant” publishers (as per the bill) as well as “relevant” ones. The ability for small publishers to form or join a regulator which would serve as a shield between them and the law could be pretty good for freedom of speech in the UK. Speaking as someone who has experience running EastLondonLines and who dreams of one day starting an independent local news site in London, I want that possibility to be open to me. Happily, it looks like the “relevant publishers” test is indeed going to be tightened. The provisions which are now causing such controversy were, I think, a rushed attempt to throw the regulatory lasso around websites like HuffPo UK and Comment is Free – not to regulate the blogosphere. While I wouldn’t dare to take my eye of our politicians for five minutes, there seems to be pretty strong cross-party agreement behind tightening this poorly-drafted test. The “small scale bloggers” amendment passed by the House of Lords is not final wording but a placeholder amendment designed as a statement of intention. It means that when Parliament returns from its recess it will need to hash out a proper test which defines and excludes small publishers in a workable way. If it doesn’t, there’ll be fury, and rightly so. As an aside, I’m amused and confused by the epithet “self-appointed”. Who would you prefer to have appointed us? The state? And do you have any examples of a campaigning group which is not “self-appointed”? P.S. Mrs. Angry: Sunny Hundal’s claim of a “mini-consultation” has nothing to do with us. His source is the Labour Party and we presume from the story that it’s them who’ll be doing the consulting. If you’re interested in giving them your two pence, perhaps you should contact them? Our own meeting was just a preliminary bit of planning for our own survey, which we’re currently putting together. it was not intended, and will not be left to serve, as a definitive response to the current situation. Laurence: I have already given at least two pence to the Labour Party, before last Monday: one peer, one party leader – does that count? The point re Media Reform is surely not that it is self appointed but rather that it has taken a position and is representing it as a consensus, or at least the position which bloggers should reasonably adopt, ie that a regulatory body is a good thing. Adopting such a view before any consultation is clearly not representative, but supporting a chosen view. It is not the view of my choice, and I think many others will feel the same. Fair enough! But I don’t think we’ve claimed at any point that our views represent a consensus. If we have seemed to suggest any such thing, that’s an mistake I’m keen to correct. While we’re certainly hoping to gather support for our position, we do not and cannot represent anyone but ourselves. Obviously we think bloggers SHOULD adopt this position, even if they want nothing to do with a regulator (as is their right, and as we are arguing should remain their right). We’re a campaigning organisation with strong views; we calls ’em as we sees ’em!